Product #46594 | SKU 10068 | 0.0 (no ratings yet) Thanks for your rating! 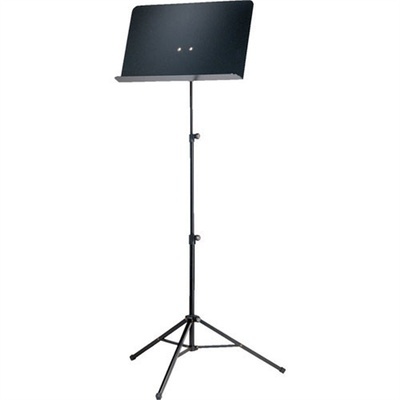 The K&M 10068 is an aluminium sheet music stand with a folding tripod base. The lightweight aluminium music desk attaches to the tripod with a prismatic V-block connector. The height is adjustable between 21.85 and 46.85" (555 and 1190mm).